Hotel Bristol offers you two multifunctional rooms that suit the needs of every kind of event. 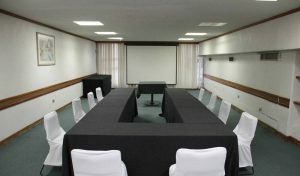 No matter if it’s a simple work meeting, trainings, seminars or social celebrations, these Mexico City event venues are perfect as they are available in different seating arrangements. Bristol Hall: For up to 90 people, available in auditorium or banquet seating arrangement. Consejo Hall: For up to 60 people in banquet seating arrangement. Technical services and audiovisual equipment (extra charge). Internet access (free in public areas and rooms).